We were delighted when a new client approached us with the vision to open an exciting new soft play and party venue in Milton Keynes. Having visited several of these types of venues ourselves we quickly understood the challenges and opportunities of creating a children's play venue and the associated marketing materials. We worked closely with the client to create a theme and plan a launch strategy which would best prepare the new business to hit the ground running. 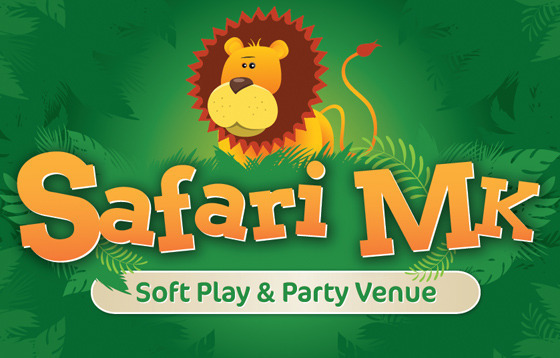 The jungle and animal theme developed as a unique concept with a wide variety of themes and potential, this in turn lead to the name Safari MK. Melon worked hard to create a new logo and themed illustrations to create a new fun brand which would appeal to both parents/carers and children alike. We aimed to ensure an energetic and fun approach which retained credibility and sophistication. Alongside this creative work we planned the website and roll out strategy. In addition Melon is working on printed promotional materials and advertising to help support the client's marketing objectives. This week saw the pre-launch version of the website go live. With the venue set to open in October a social media campaign has already generated huge interest and the website is designed to facilitate advanced bookings and opening day success. 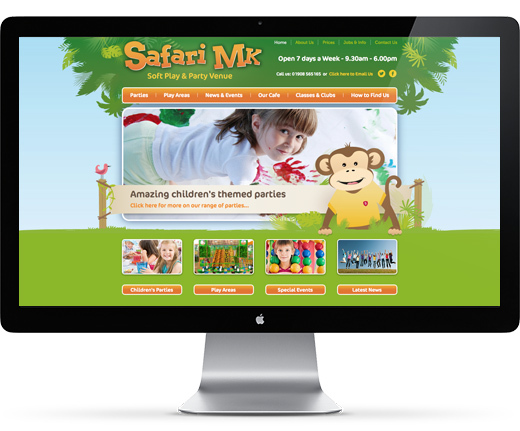 It's been great fun working on this one and we're sure you'll agree, Safari MK looks like the place to be this Autumn for kids of all ages! "We used Melon to design our website www.safarimk.co.uk. They just 'got' what we trying to create and then went beyond our expectations with the design. Our customers have all commented on how great the site looks as well. What is nice is the that back up and support after it went live with e-mail, tweaks and other artwork has been great and well needed when setting up a new business. If you are looking for an easy to use well thought out website with creative flair then I would not hesitate to recommend Melon."